to go with your jeans…“. 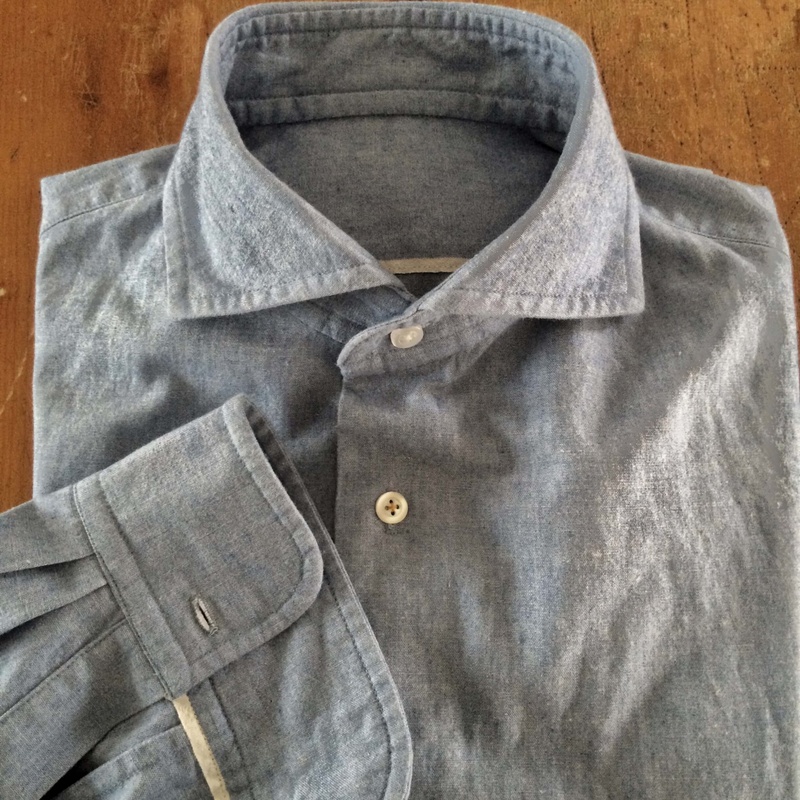 Besides jeans you can also commission a shirt, fully made to your personal measurements. Like the jeans they are constructed using only one machine and feature even more hand sewn details. Of course the buttonholes are hand sewn. 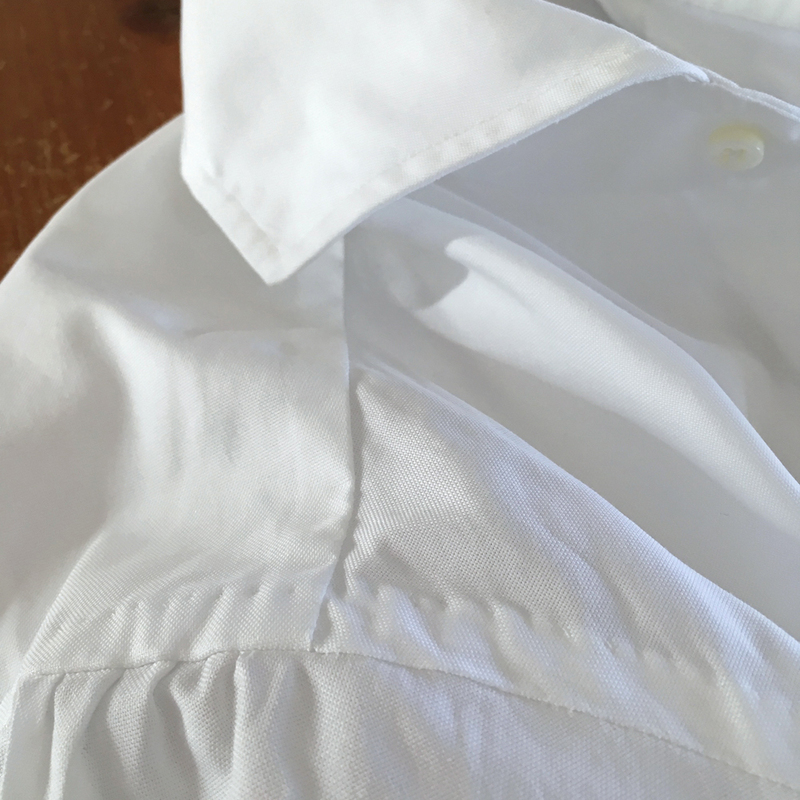 The shirt is finished with beautiful chunky mother of pearl buttons, hand attached with a shank. 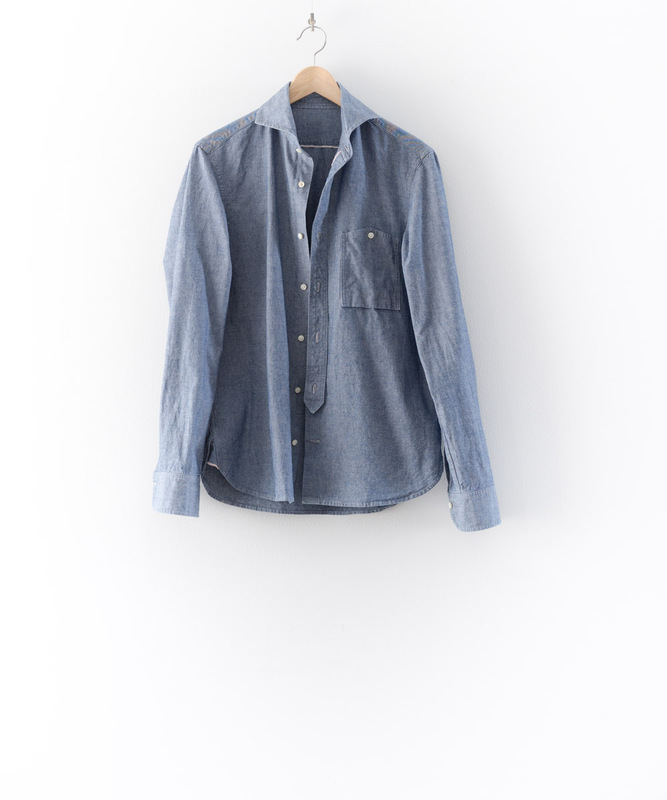 All starting from a hand drawn pattern, the shirts can vary from a worker style chambray to a sartorial shirt with a hand pleated Neapolitan shoulder. 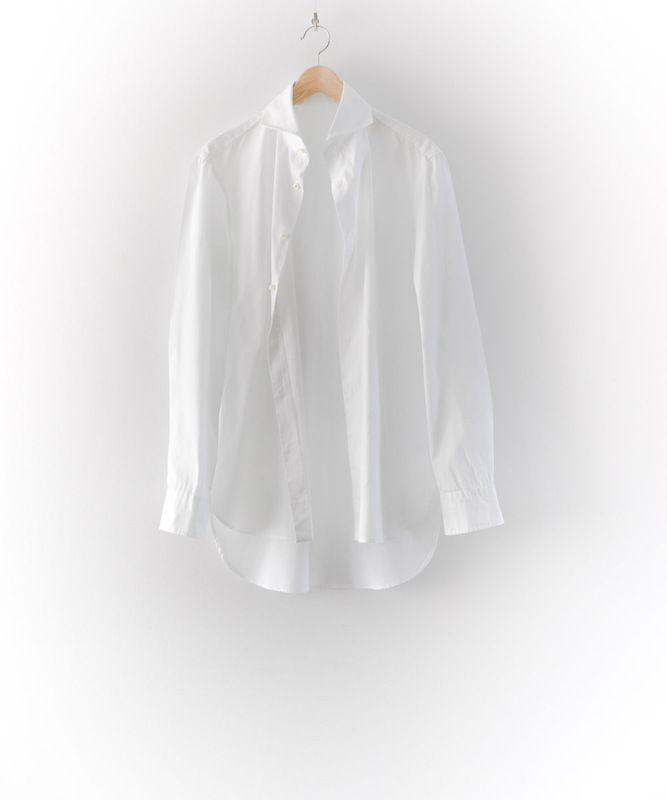 Collar and cuffs of the shirt are unfused to give the shirt a softer look and feel. The inside of the collar stand and cuffs are attached by hand. The sleeves are first placed by hand, slightly tilted forward, after which they are sewn in by machine. The armhole then is finished with hand pick stitching. 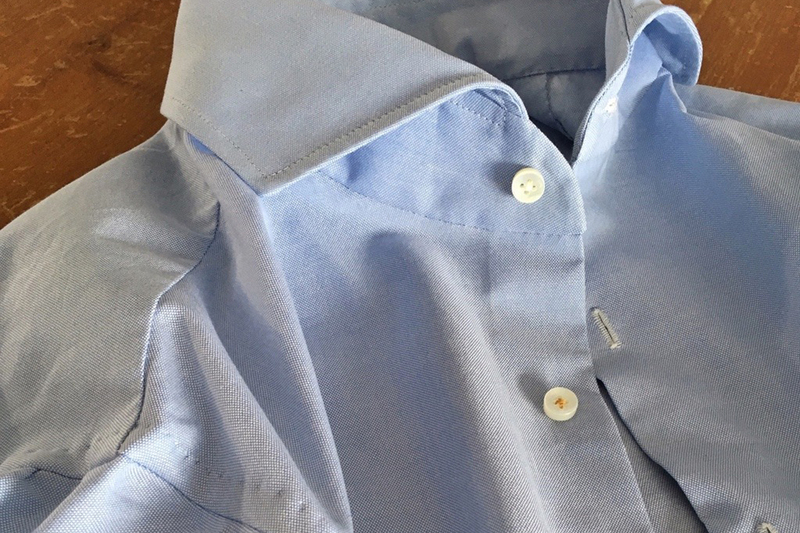 For shirts there’s a variety of fabrics available: fine cottons from the Italian Albiate1830, such as a panama or oxford as well as a chambray or a lighter weight denim from Japanese mills. Prices from €450 depending on the choice of fabric and requested detailing. Besides shirts you can also order a waistcoat or worker jacket. The waistcoats are lined with chambray and have a full fabric back. Two or three patch pockets or welted pockets are an option. Prices from €450. 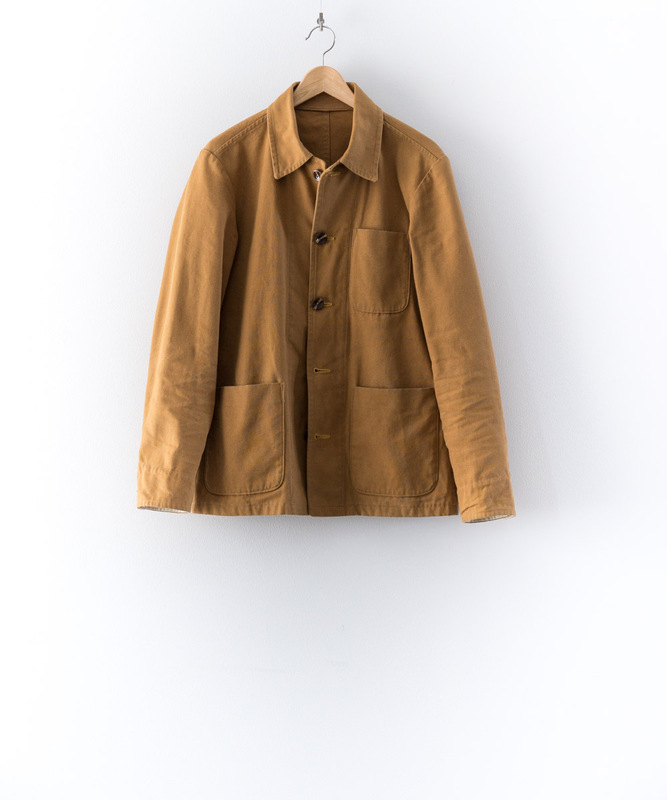 The worker jacket usually features patch pockets. A duck canvas would be a good choice of fabric. Naturally all seams are hand felled or cotton taped. Prices from €795.